Pure Placencia: Placencia vs Hopkins - How to choose between them for your trip to Belize! 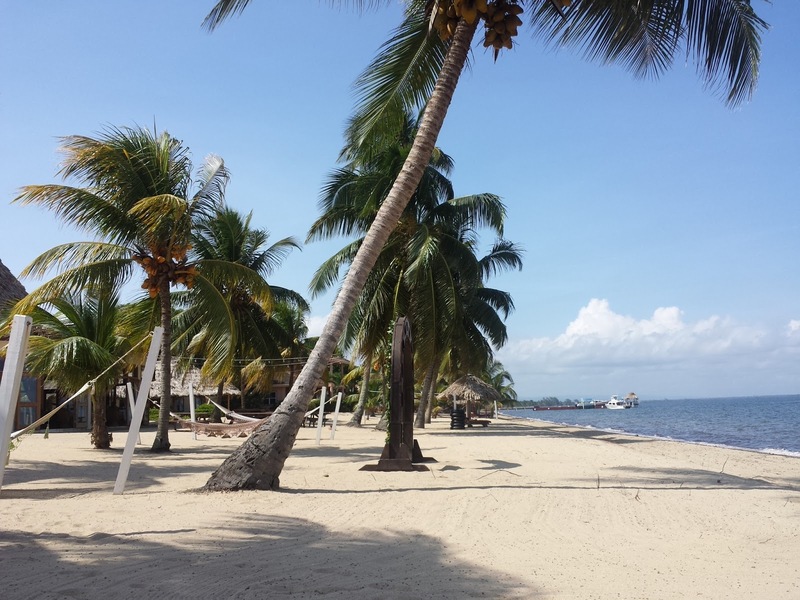 Placencia vs Hopkins - How to choose between them for your trip to Belize! It is so hard to choose cities to visit in a country you have never been to, and you just can't get a real sense of a city until you visit yourself. 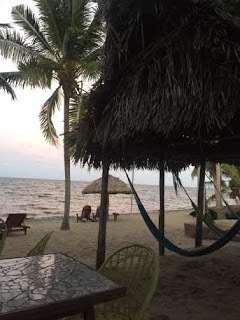 I had driven through Hopkins a few times before and we decided to stay for a long weekend to get a better sense of what it is like, as we get many questions about the differences between Placencia and Hopkins. Hopkins has an interesting divide. After you drive the road in, if you go left, you head into a very authentic Central American village. You will see a few tourists riding bikes, but for the most part, you have all local owned businesses, a lot of very simple and rustic shack restaurants, parts of it look a bit rough, but you can safely navigate it. The roads are dirt and moderately hard to bike in places. The ride in is quite bumpy. If you go right, you will see a bunch of signs that look pretty touristy--and you will quickly enter into a town where it is all tourists. However, this is a seriously cute little town, we were told it is called Hollywood Boulevard :). 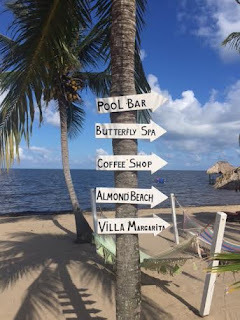 There are a bunch of really cute resorts on the beach--Jaguar Reef, Belizean Dreams, Hamanasi, Almond Beach. Any of these will make a traveler happy. Very first world. We stayed at Jaguar Reef - they had a nice clean beach, free bikes and kayaks, good restaurant on site, and a fun pool bar. I also realllllllly appreciated that the resorts banded together to keep the beach clean....in Placencia, we rake our beach, but many parts of the beach aren't touched too often. This is annoying and aesthetically unpleasing when the seaweed comes in. One huge plus of Hopkins is that you are closer to the excursions. You are saving about 45 minutes of a drive to most of the inland excursions. If you are looking for a first world resort where you can easily hit the inland excursions, it might be the right choice for you. The water was a bit muddier than Placencia and the bugs bit me badly in Hopkins--but this is entirely unfair to say this is the norm, as it really just depends on luck sometimes. 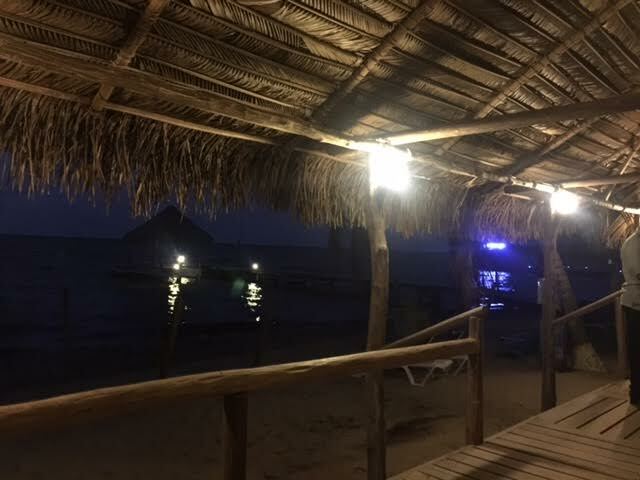 A consideration is that while Placencia has an airport a couple minutes from town, you have to fly into Dangriga and get a ride from there, which can be 20+ minutes, and there may be a charge for that, with a bumpy drive in. I am trying very hard not to be biased here....but Placencia is just a perfect mix of authentic and what you see on a Caribbean postcard. Everything is in one place (not separate sides of town for tourists). The village experience IS the experience here. There are too many good places to eat to name, and while we don't have a super polished resort area in town, we have adorable guest houses and a unique Caribbean looking village that just works. While you are farther from the excursions, it makes up for it by the village experience you can have (just head out for an afternoon turned evening here and you will see what that means!!) And, you can drink the water in Placencia. Hi Emily, thanks for the clarification! I agree about Tutti Frutti lol...when they shut down in ow season everyone mourns! Hi there, I just stumbled upon your blog - what a great resource! My husband and I were struggling with our honeymoon itinerary and where to stay. In the end we decided to stay in Placencia for 4 nights and Hopkins for 3 nights. Based on what you wrote, I think it will offer us a nice mix of activities and culture! We'll blog about our trip to Belize and I look forward to linking some of your posts. 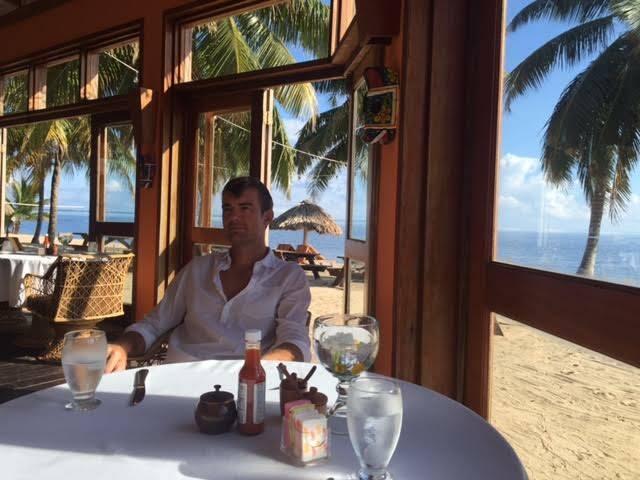 Ironically, when we were looking for accommodation in Placencia, I was absolutely drooling over your cabanas! The place looks stunning. Unfortunately, we waited to book until the trip got a little closer and everything was full. Perhaps we will run into you and your husband in the village in a few weeks - Ohio girl here too! It looks like you have embarked on a really exciting adventure with the resort. All the best! Thanks Natalie! Sorry we were booked :(. Hopefully next time!!! Have a great trip!